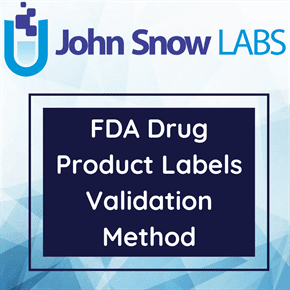 This dataset is a Structured Product Labeling (SPL) Terminology File for SPL validation procedures and contains information on performing SPL validation of the “Final Over-the-Counter (OTC) Drugs Monograph”, “Final All Over-the-Counter (OTC) Drugs Monograph”, “Not Final Over-the-Counter (OTC) Drugs Monograph” and “Combination Product Type Category under the NCI Code C102833”. The Over-the-Counter (OTC) Drug Review was established to evaluate the safety and effectiveness of OTC drug products marketed in the United States before May 11, 1972. It is a three-phase public rulemaking process (each phase requiring a Federal Register publication) resulting in the establishment of standards (drug monographs) for an OTC therapeutic drug class. The first phase was accomplished by advisory review panels. The panels were charged with reviewing the active ingredients in OTC drug products to determine whether these ingredients could be generally recognized as safe and effective for use in self-treatment. They were also charged with reviewing claims and recommending appropriate labeling, including therapeutic indications, dosage instructions, and warnings about side effects and preventing misuse. The agency published the panel’s conclusions in the Federal Register in the form of an advanced notice of proposed rulemaking (ANPR). After publication of the ANPR, a period of time was allotted for interested parties to submit comments or data in response to the proposal. The second phase of the OTC Drug Review is the agency’s review of active ingredients in each class of drugs, based on the panel’s review of ingredients, on public comment, and on new data that may have become available. The agency, in turn, publishes its conclusions in the Federal Register in the form of a tentative final monograph (TFM). After publication of the TFM, a period of time is allotted for interested parties to submit comments or data in response to the agency’s proposal. The publication of final regulations in the form of drug monographs is the third and last phase of the review process. The monographs establish conditions under which certain OTC drug products are generally recognized as safe and effective. Products containing active ingredients or indications that are nonmonograph require an approved New Drug Application for marketing. After publication, a final monograph may be amended, either on the Commissioner’s own initiative or upon the petition of any interested person. OTC drug monographs are continually updated to add, change, or remove ingredients, labeling, or other pertinent information, as needed. – Value comes from the Combination Product Type list. – If the document type is for bulk ingredient (53409-9), OTC animal drug (50577-6), OTC type A (50576-8), OTC type B (50574-3), OTC type C (50573-5), prescription animal drug (50578-4), VFD type A (50575-0), VFD type B (50572-7), VFD type C (50571-9), Cosmetic (58474-8), Dietary Supplement (58476-3), Medical food (58475-5), Human compounded drug (75031-5), Licensed Vaccine Bulk Intermediate (53406-5), Drug for Further Processing (78744-0) or Animal Compounded Drug Label (77647-6) then there is no combination product type characteristic on any package.